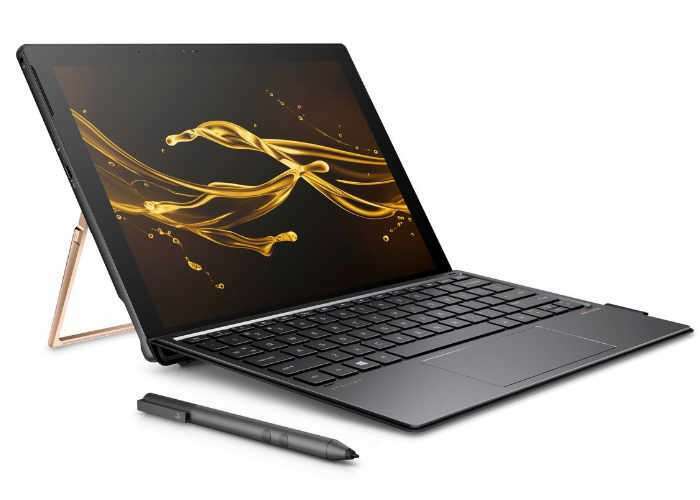 Hewlett-Packard is gearing up to launch a new tablet next month in the form of the HP Spectre x2 which will be available to purchase priced from $1000 upwards. Designed to compete with Microsoft’s Surface Pro the HP Spectre x2 can be powered by either an Intel Core i5 orCore i7 Kaby Lake processor supported by up to 16 GB of LPDDR3 memory without to 1 TB of solid state drive (SSD) storage available depending on your budget. HP have also equipped the tablet with fast charge technology that is capable of charging the battery from flat to 50 percent charged in just 30 minutes. The Spectre x2 is also fitted with a 5 megapixel front facing camera for video calling, together with a 13 megapixel rear facing for video and photographs. Other features include Bang & Olufsen tuned audio, an adjustable kickstand with support for angles up to 165 degrees, a headset jack, a microSD card slot, and two USB Type-C ports (plus a USB-C to USB-A dongle adapter.